During a visit by Chinese officials to the Drakkar Choeling nunnery in the Tawu County on 9 March 2015, a group of Tibetan nuns protested by declining the government’s biased offers of assistance and by refusing a donation of shoes, claiming that what they would really need is freedom from Chinese rule. Tibetan nuns living in a convent in western China’s Sichuan province rejected government offers of assistance this week [9 March 2015], throwing gifts of shoes onto the ground and calling for freedom from Chinese rule, sources said. 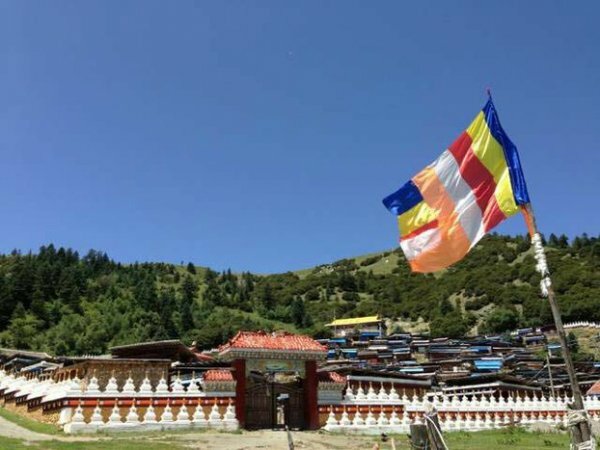 Their protest came during a March 9  visit by Chinese officials to the Drakkar Choeling nunnery in Tawu (in Chinese, Daofu) county in the Kardze (Ganzi) Tibetan Autonomous Prefecture, local Tibetan sources said, writing on social media. “They tried to persuade the nuns to express their appreciation and affection for China,” one source said. “At the same time, they warned the nuns not to become involved in [anti-China] protests, and told them they would face ‘consequences’ if they did,” the source said. The officials then distributed shoes they had brought as presents for the nuns, but the nuns refused to accept them, sources said. No word was immediately available on official reaction to the protest, but social media accounts of the incident were confirmed by Tibetans living in exile, citing local sources. Drakkar nunnery had earlier been placed under strict restrictions following the self-immolation protest three years ago of a Drakkar nun, Palden Choetso. Choetso, 35, set herself ablaze on Nov. 3, 2011, while calling out for Tibetan freedom and for the long life of exiled spiritual leader the Dalai Lama. News of her death drew thousands of Tibetans into the streets in protest against Beijing’s policies and rule in Tibetan areas. Sichuan’s Kardze prefecture has been the scene of repeated Tibetan protests, both by individuals and by small groups, despite the threat of detentions and violent assaults against protesters by Chinese police.